Now let’s be honest… Higher Ground’s concert selection this January has been a bit lackluster to say the least. I say this because of the excellent selection that was offered right before Winter Break. I was excited when I was back home to see what more they would have to display and sadly I found nothing…. except Dr. Dog. 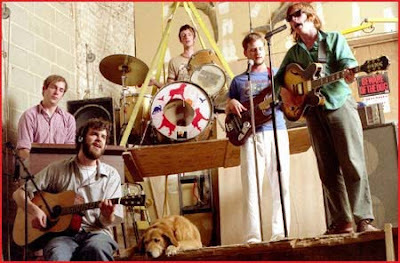 Dr. Dog was like the light at the end of a long January tunnel. A drop of rain during a draught, if you will. To have this “folk-psychadelic” band play at Higher Ground before the release of their new album, “Shame, Shame” is quite a treat. These guys look like they have so much fun on stage from some recent YouTube videos I was scoping. Here’s one to share so maybe you’ll consider attending before leaving to wherever the hell you might end up during February Break.